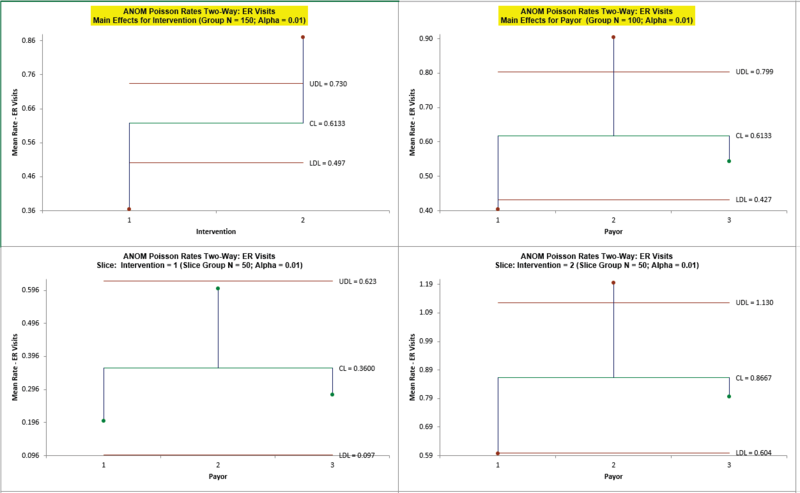 SigmaXL | Product Features | How Do I perform ANOM Poisson Rate Two-Way in Excel using SigmaXL? How Do I Perform ANOM Poisson Rate Two-Way in Excel Using SigmaXL? from the ANOM book – used with author permission). Way. Ensure that the entire data table is selected. If not, check Use Entire Data Table. and Type 2 has a significantly higher rate.